How do I Build Better Balance? Balance, a task we mastered early in life, seems simple enough. But as we age or encounter an injury or illness, balance may need to be relearned. Balance is controlled by a complex combination of your visual, muscular and neurological sensory systems that all work together. To build better balance, the nervous system must be challenged through regular balance training. 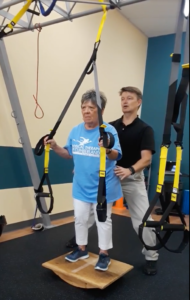 Assess your weakness- Testing and appropriate exercise prescription are necessary to reveal which sensory system is impaired and which exercise level is safe to begin to improve your balance. Stay strong-Lower body strength and flexibility are critical factors for a rapid response to a balance disturbance. Practice, practice, practice-but with purpose! Find little ways to sneak in more balance practice. Try to stand on one leg while brushing your teeth. Use the mirror to provide instant visual feedback of your progress. For more help building better balance, contact PT Cumberland about our Fall Risk Screening and Balance Training Program. 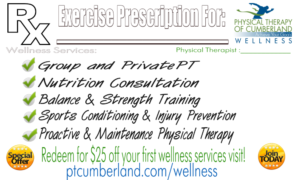 Visit PTCumberland.com/wellness to register for our free balance training webinar with quick tips and assessments you can try at home. 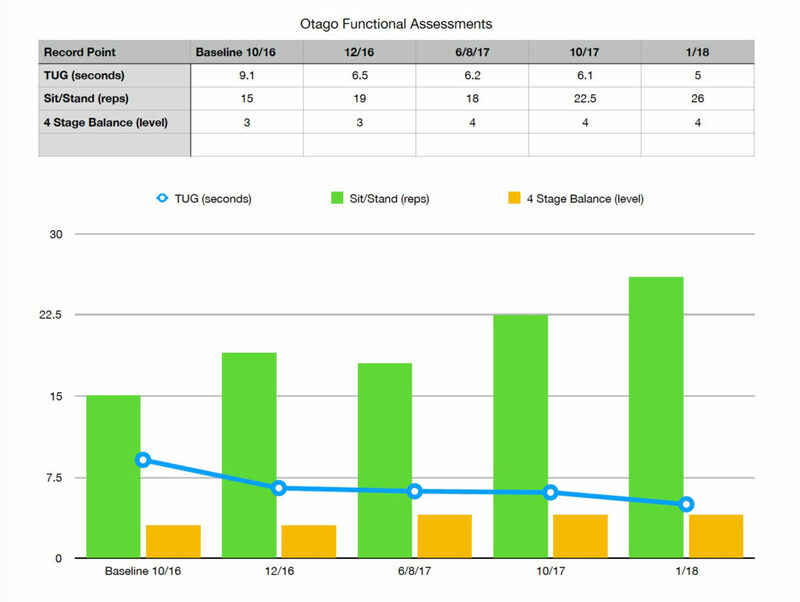 Over the past year Sue has nearly doubled her leg strength as shown by the sit/stand progress chart from baseline testing. 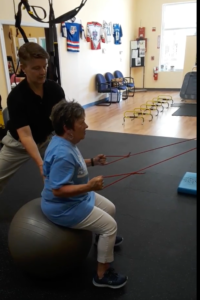 She has also improved her gait speed, cornering ability and balance and continues to improve every month! 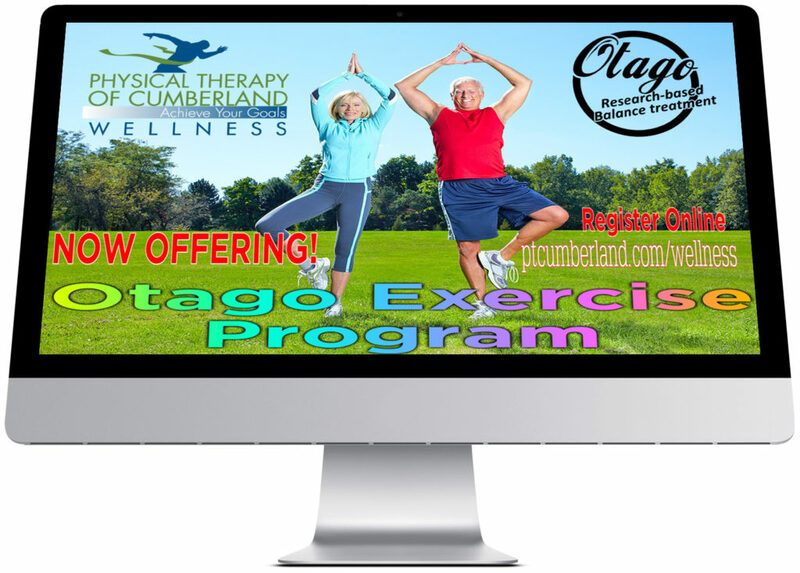 To learn more on how you can get started building better balance watch our free webinar or enroll in our balance training program today!